Sarah has over 25 years experience in private and public sectors, fulfilling a range of middle and senior management roles in educational policy and development. Many years experience of informal coaching and mentoring, recently formalised through undertaking ILM Level 5 coaching qualification. As Deputy Head of the Skills Centre Sarah's main responsibilities include: staff development for the Centre; marketing and communications of centrally delivered skills provision; operations; digital resource development and direct support to the Head of Centre. 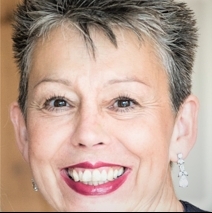 Sarah is an experienced leader and team manager with over 20 years experience in education having worked for the four UK higher education funding bodies, leading, developing and co-ordinating national learning and teaching initiatives and subsequently learndirect. Sarah ran her own business for four years as a professional florist supporting a local children’s cancer charity.